Having been born and raised in the south, I frequently encounter people who drink buttermilk (or maybe it is more common than I think everywhere else?). Buttermilk and cornbread are a classic combination. While I like the tangy flavor buttermilk adds to foods (especially buttermilk pancakes! ), I can't imagine drinking a glass of it! The name buttermilk comes from the original way it was made - from the liquid left over when churning butter from milk. This was naturally fermented as unpasteurized butter cream sat for a length of time before churning. 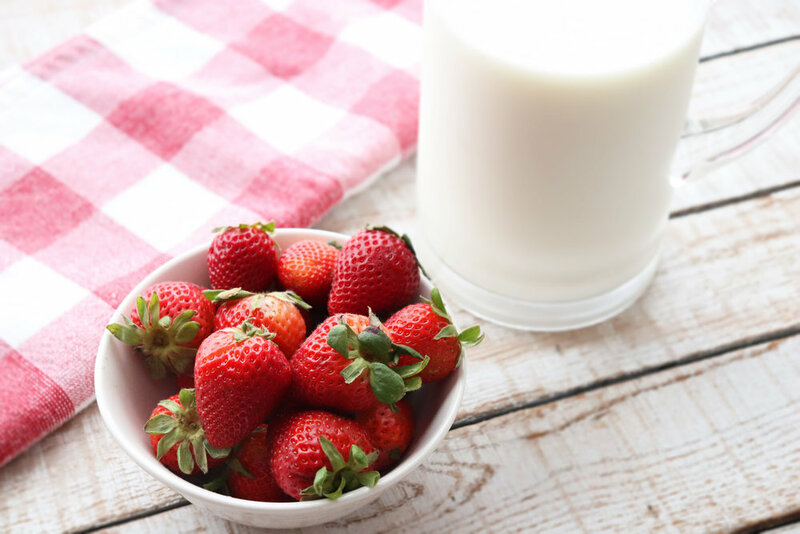 These days, as milk and cream are pasteurized (killing the naturally occurring bacteria), Lactobacillus acidophilus is added to milk (typically nonfat or lowfat milk) to produce buttermilk. The "healthy-gut" probiotic Lactobacillus acidophilus gives buttermilk the classic sour taste. Probiotics are "good" bacteria that may help keep your gastrointestinal tract healthy and strengthen your immune system. I was a little skeptical going in of how this smoothie would taste. Would it really taste like buttermilk - i.e. milk gone bad? Turns out, it just added a slight tang to the smoothie that paired very well with the sweet strawberries and banana. In fact, I'm not sure you would know it was buttermilk in place of milk! It was absolutely delicious! I had some fresh strawberries to use but this would be another recipe where frozen strawberries (or any frozen fruit) would work well. One-half a frozen banana along with a touch of honey adds sweetness. If your strawberries are super-sweet you may not even need to add any honey. If you like drinking buttermilk (more power to you!) 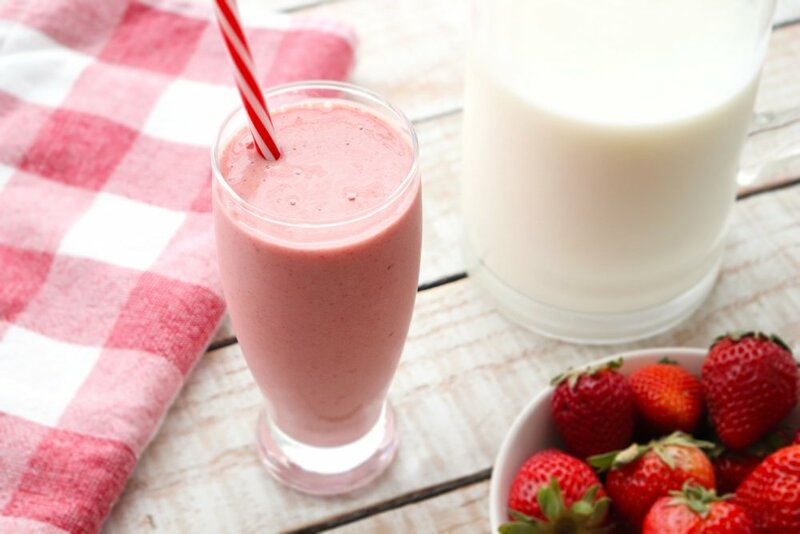 and want a change of pace, have some buttermilk you need to use up, or simply want to branch out your smoothie repertoire, give this smoothie a try!